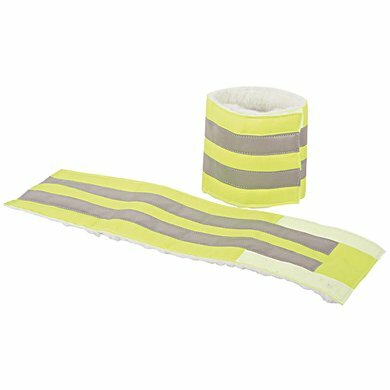 Handy wraps with reflective stripes, soft fake fur lining and velcro closure. 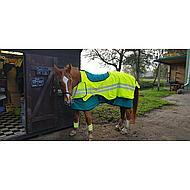 Can be used for horse and rider. Perfectly reflective. For the legs of my quarter a bit big. But fortunately the Velcro is long. 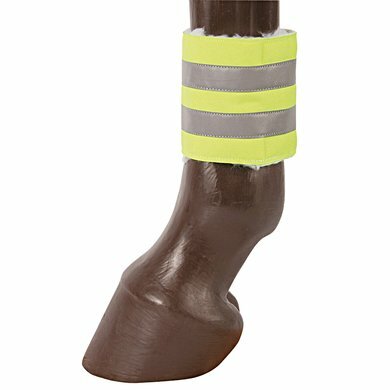 The Horse Wraps are perfect for good visibility when walking or running over to the equestrian center. I would not use you while riding yourself. For me, the Velcro is not strong enough. The wraps are also very long if you are attached directly over the fetlock head with my warmblood. Advantage of the length is certainly the fact that fit well with leggings, the wraps. They are easy and quick to put on and take off. 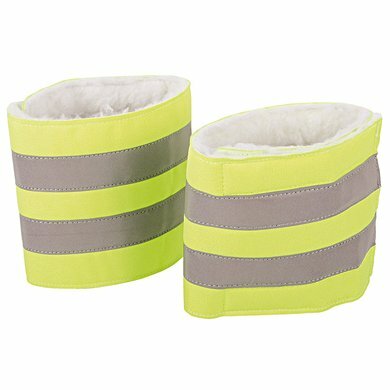 In terms of durability and durability, I can not say anything, because they are created only on short stretches in the step. I bought it 2 years ago and they are still super nice to use. Inside is hardly worn and the reflective stripes are still intact. Question: Is this a set of 2 or 4 pieces?